For some, the season’s greyed out skies and frosty air calls for weekend trips to the slopes. Fortunately, for the man who prefers blending form with function, Nordstrom recently launched a fashion-forward capsule collection that features exclusive and limited edition winter gear. Dubbed “Concept 001: Out Cold,” shoppers will be able to get their hands on new ski, snow, rain and technical wears curated from 20 different brands. The New Concepts platform, the brainchild of the retailer's new vice president of men’s fashion and Mr. Porter alum, Sam Lobban, is the first in a series of in-store installations (in Seattle and New York) and is available to shop online. Though he joined the team just last summer, Lobban has been hard at work introducing new brands to the Nordstrom Men offering including Off-White, Alyx, Noon Goons and Rhude before New Concepts launched. The latter is part of the retail giant’s effort to encompass the various projects being developed for men. Need some suggestions before schussing? We have our sights set on the K-Way Water Resistant Jacket ($100) and the Woolpower Crewneck ($124) sounds perfect for aprés-ski lounging. Of course, you cannot have a bigger fashion moment on the slopes when wearing Mackintosh’s Hooded Poncho ($1,575). 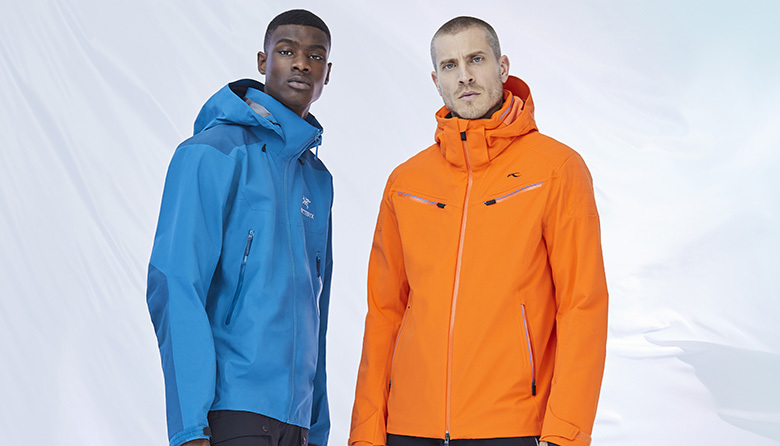 Although if you ask Lobban, the skiwear from Kjus might be top of mind “He thinks their fabric development is incredible,” shares John Bailey, Nordstrom spokesperson. If you are looking to up your style game before heading out to the slopes this season you might have to act fast; the Golden Bear jackets, Diemme footwear and some of the Mackintosh coats are exclusive to Nordstrom while some other designs are limited in quantity and won’t stick around for long. But if staying indoors is more your style this season, don’t worry, we hear that the next iteration of New Concepts will feature Kim Jones’ first men’s collection for Dior. Needless to say, the boys around town won’t have to look too far to up their style game this year.